.Air Canada to Increase YVR-Delhi Flights to Daily, Year-round; Expands Dreamliner Service From YVR to Several International Destinations in Summer 2019. 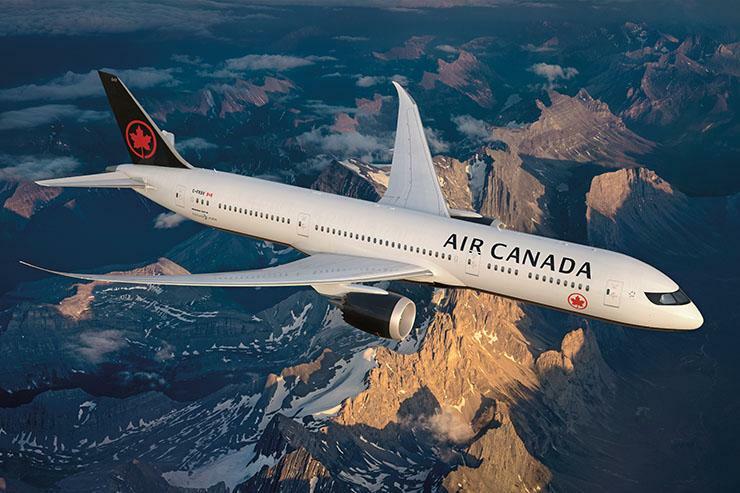 The Canadian legacy carrier Air Canada felt significantly threatened by the announcement yesterday from rival airline WestJet regarding the routes it would deploy Dreamliner 787 aircraft to, that it rushed out ahead of schedule its own 'Dreamliner' announcement. Air Canada says they will upgrade its Vancouver to Delhi route to a daily operation from 2nd June 2019. The airline, that always seeks to stifle all competition confirmed it will be increasing its non-stop Melbourne service to four times a week all year long and its summer seasonal service to Zurich will increase to five flights a week. Meanwhile, the Vancouver - Osaka will become a five times weekly service between June and October next summer. All of the flights will be operated with Air Canada's flagship Boeing 787 Dreamliner aircraft. Air Canada's Boeing 787 Dreamliner features three cabins of service with high-definition individual on-demand entertainment offering a wide range of movies, short films, TV programs and audio selections at every seat throughout the aircraft. "We are pleased to increase our capacity to these important markets as we continue to strategically broaden our international network from our Vancouver hub. Customers have responded positively to our increasing service to Delhi and this flight will now operate daily on a year-round basis to meet demand. The addition of a fourth weekly flight to Melbourne, Australia's second largest city, year-round will provide further convenience to business and leisure travellers. With Dreamliner service to Osaka and increased frequencies to Zurich, we are further strengthening our convenient network." said Mark Galardo, Vice President, Network Planning at Air Canada. Bruce Ralston, Minister of Jobs, Trade and Technology welcomed the news, "As B.C. expands its trade network into India, this daily, direct service between Vancouver to Delhi will help drive trade and partnerships, and expand the technology sectors in both of our countries,"
"It's fantastic to see Air Canada continuing to build out its hub and global network from YVR," said Craig Richmond, President and CEO, Vancouver Airport Authority.